Reserve Bank releases new $5 note.. 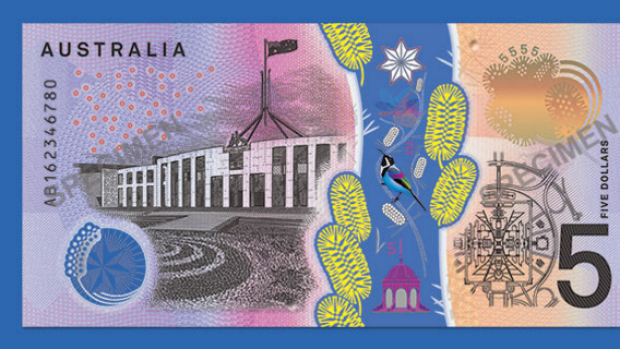 The reserve bank of Australia has unveiled the design for the new five dollar note. A familiar face and colour scheme has been retained with a few additional features. An eastern spinebill is centred and the prickly moses wattle is scattered on the front and back. 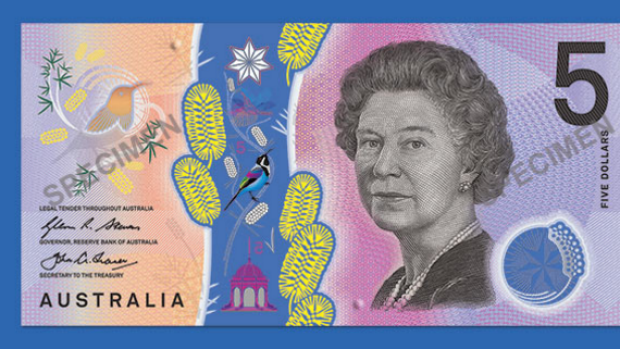 The note will be issued into circulation from 1 September 2016.